Having said that, I admit that I am an “almost” murderer. 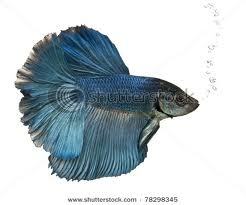 Readers who have read my “Little Blue Fish” story know that Sparky is my Siamese Fighting Fish. He is now blind, living in the equivalent of a one room condo, underwater as many post-storm homes are. He can no longer appreciate the landscape of his tank. The pretend palm tree goes without his appreciative glances, the pretend castle remains uninhabited by Sparky’s imaginary friends. The blue pebbles on the bottom no longer delight him. Feeding time for Sparky is frustrating. I drop one piece of pink flake fish food at his nose. He seems to look right at it, but it slowly drifts away, down to the bottom of the tank. Try another piece. One single flake just to the left of him. He remains in one place, unmoving and unaware of the succulent snack gliding past him. Now two flakes sit at the bottom of the tank. Sometimes he snaps at food, but misses the piece. Down it floats. Every piece of food on the bottom of the tank causes pollution in the water. That pollution translates into many more time consuming water changes. The water must be spilled out of the tank, tank walls scrubbed, plants and decorative structures cleaned. Then with fresh water with a few drops of “R.O. Right”, a chemical that puts minerals back into the water, the fish and fancy furnishings go back in. “Well, I could never do that,” I assure him. ridiculous. A Siamese fish doesn’t make any noise; why should the house seem quieter? Yet the feeling remains. “Oh, he did it. Sparky is gone.” I sidle up to the tank and see nothing but a plastic palm tree and a little castle. I never wanted this creature but I feel surprisingly sad. My fish-experienced husband probably matter-of-factly swished a small aquarium net into the tank and swooped Sparky out. I imagine a splash of water and hear the sound of a toilet flushing. Sparky is forced through the sewer line and comes out right into a treatment plant. “Oh no.” What a cruel end for a little creature whose only fault was losing his eyesite. And it’s my fault. I wished this fate for him. What kind of human being am I? As I stood near the tank a small blue fish waved its fins and swam up to the top. Sparky is alright! Nobody swooped him out of the tank. Nobody threw him into the toilet bowl. Nobody sentenced him to ending his life in a treatment plant! There must be a way to feed him. I will figure it out. It just will take a little more time. But never will I cause such a sad ending to the life of my blue Siamese Fighting Fish! I didn’t want a fish. I don’t want a fish. Anything but another fish in this house. How many do we have, thanks to my husband’s hobby? He has two salt water tanks, two fresh water tanks, and a koi pond outside. So a fish of my own was not what I longed for. But it was my friend’s big birthday, she loves animals and critters, and I thought a small unobtrusive tank with one colorful Siamese Fighting Fish would be a cheerful addition to her kitchen. Her kitchen decor is overwhelmingly blue, so I bought a blue one with long, sensual, diaphanous fins. She would love it. Not even a little blue fish,? I think. After making her wishes so clear I can’t possible give her the one thing more she doesn’t want to take care of. So here I am, stuck with fish-sitting HER fish for a few years. How long do Siamese Fighting Fish live? I wonder. I call him/her (?) Sparky and set its little tank in the center of the kitchen counter, surrounded by my white begonias and red kalanchoe. Suddenly my kitchen is quite bright and patriotic: red, white and blue! “OK, Sparky: dinner time!”, I say, as I drop one pellet at a time into the water. Sparky zooms up to the top to fetch his reward. He zeros in, flapping his little fins with joy, as he consumes each pellet. He zooms to the top, recognizing a human presence nearby, hoping in his little fish heart that the human has a treat for him. His fins are working overtime. They remind me of a car’s windshield wipers adjusted to run at maximum speed. It’s almost a year since Sparky’s arrival, and I notice a change in his behavior. Now when I drop a pellet into the tank he wanders around pathetically, trying to find it. “It’s up here, Sparkles,” I say reassuringly. I even tap lightly on the tank cover, trying to help him locate his food. I see him snap at something, only to watch the pellet float down to the bottom of the tank. Sparky seems to be blind! I didn’t want a fish, and now I have a handicapped, special needs fish. I feel sad and sorry for such an innocent harmless creature, who cannot even find his pellet of food in a tank the size of a basketball. But Sparky is part of our family now, and he can expect good care in every way I can give it.